Ready to boost your page views and grow your brand with Pinterest? 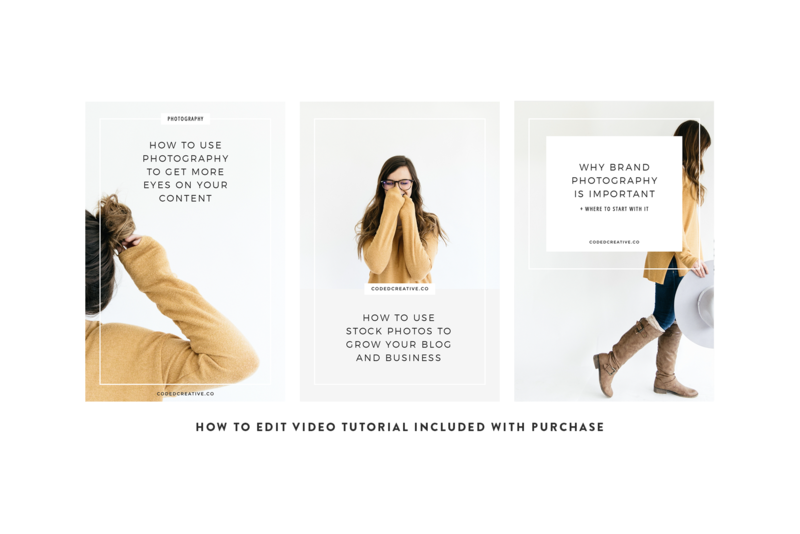 You’re doing all the right things for your brand right now – showing up consistently, creating awesome content, and connecting with your readers. Now it’s time to start getting seen by more people with these standout, totally pinnable Pinterest templates! 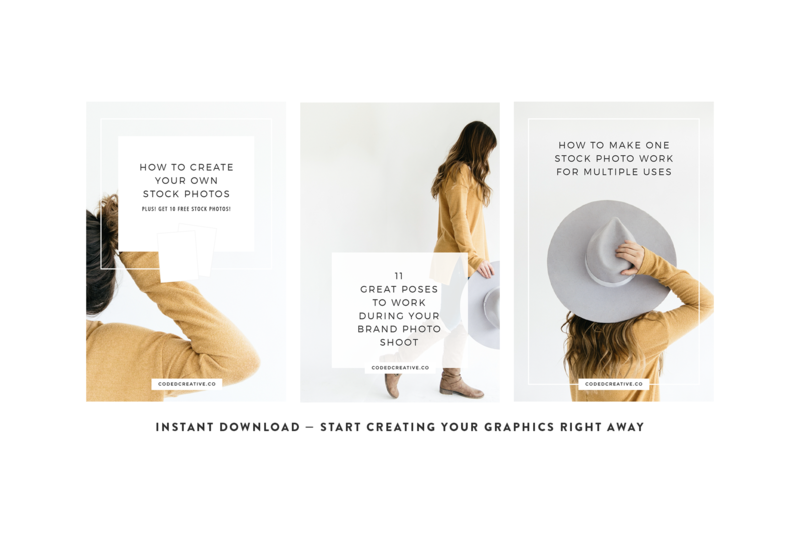 Save time and easily create graphics in Photoshop or Canva for your blog posts that will grab the attention of your ideal audience and keep them coming back for more every week. 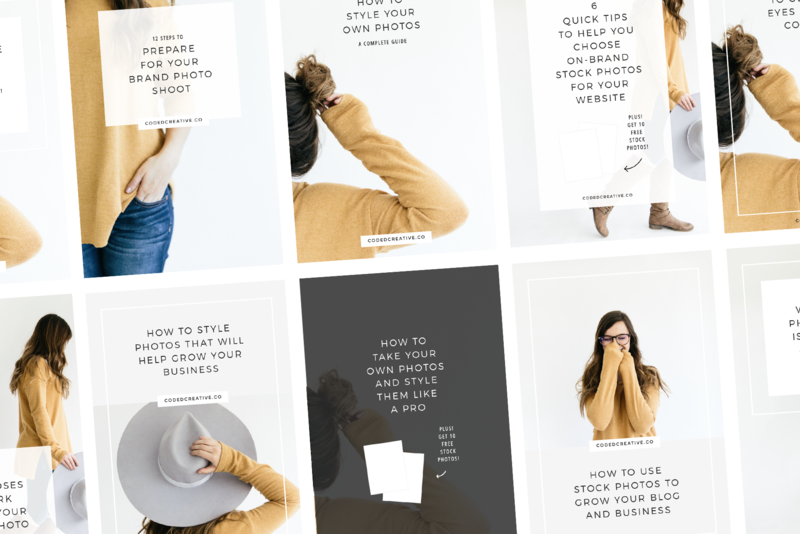 These templates are perfect bloggers, creative business owners, podcasters, and more looking to stand out in the Pinterest sea of sameness and drive more traffic to your site so you can grow your brand. 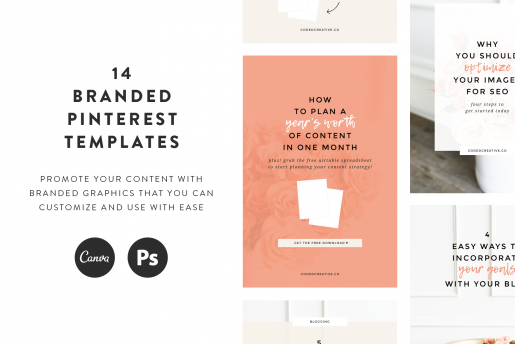 If you’ve never used Pinterest templates before, don’t worry! Video tutorials for both Photoshop and Canva are included with the templates. Canva makes creating graphics for your brand super easy on both desktop and using their mobile app. 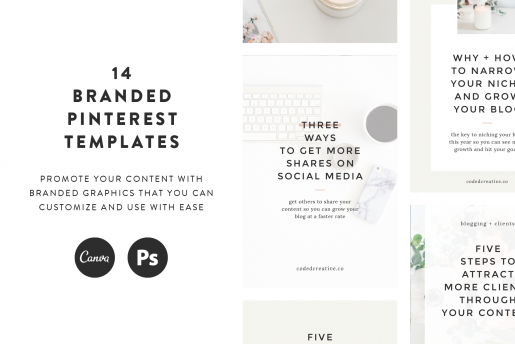 With a free account, you can access these templates and start promoting your content with ease today! For the designers out there or those that are already familiar with Adobe programs, Photoshop CC versions of the templates are also included. The photographs used in the demo images are paid stock photos used for display purposes only and are not included in the download file. Links to purchase the stock photos are included in the included Quick Start pdf. 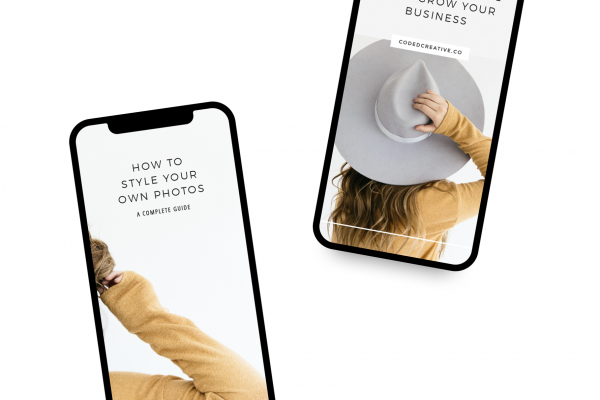 Once your purchase has been processed, you’ll receive access to a ZIP file with several items inside including a Quick Start pdf, which contains the link to the templates. 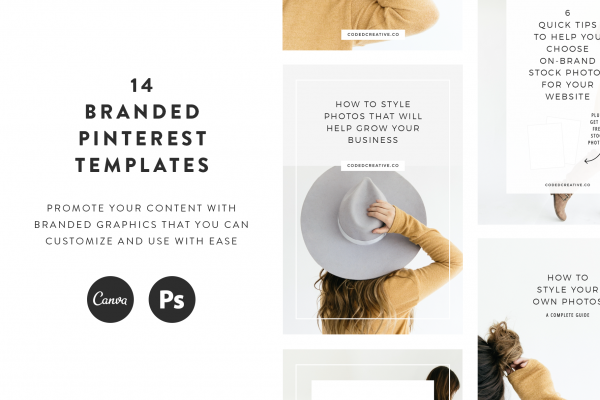 Simply save a copy to your Canva account, and you’ll be ready to start using the templates. 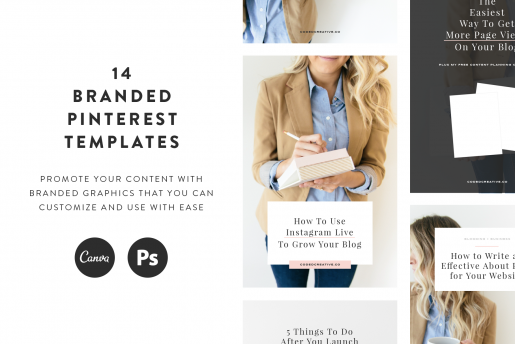 Before you start using the templates, you must save a copy to your Canva account. 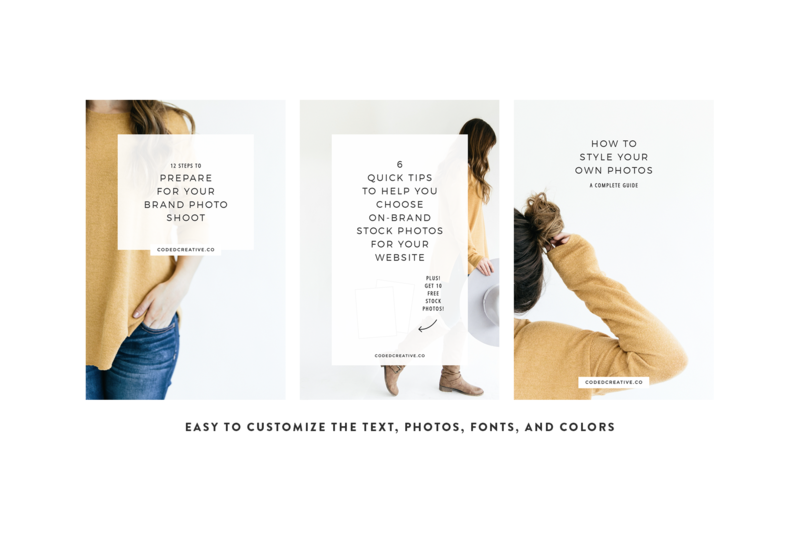 This will ensure that any changes you make to the templates (like adding your brand fonts and colors) will be saved and will not be accessible by anyone else. 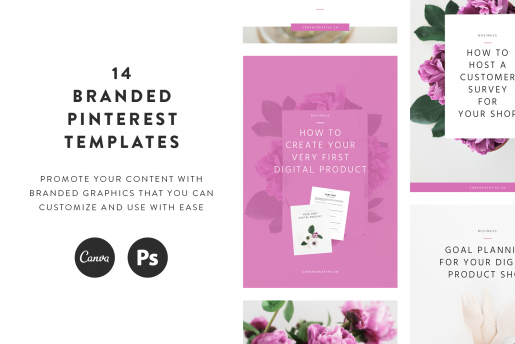 The sale of these templates is not affiliated with Canva in any official way. Due to their digital nature, all products are non-refundable and non-returnable, with no exceptions.